Rarely does a comeback story quite as compelling as Tonya Harding’s come along. No one expected the former Olympian to bounce back after her highly publicized fall from grace in 1994. Just when you thought she was gone for good, she reemerged in 2017 thanks to a dramatized biopic of her life, I, Tonya. 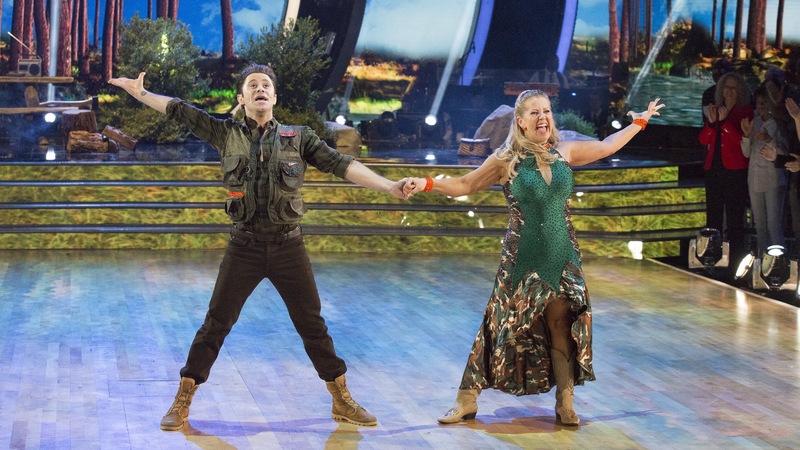 Now, the once-shunned figure skater says her current spin on Dancing with the Stars is giving her something she never expected: a second chance. “We let my son come too because it’s a once-in-a-lifetime thing, and I wanted him to see it,” she told reporters afterward. Rest assured, the outspoken skater didn’t leave his opinion up to interpretation. When asked directly what he thought about DWTS‘s “whitewashing” of Harding’s role in the attack on Nancy Kerrigan (in promos, ABC dubbed her a “figure skating legend”), Rippon responded politely but pointedly. For the time being, though, it looks like Rippon will have to continue artfully avoiding Harding. On Monday, both contestants from the figure skating world advanced to the next level of competition.